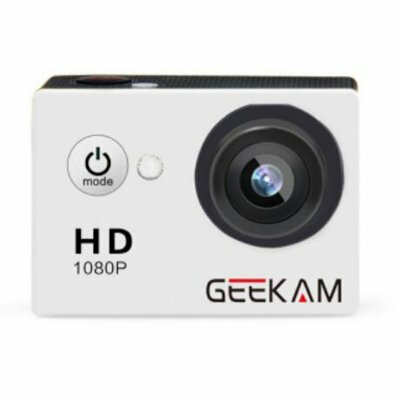 Successfully Added GEEKAM A9 Waterproof Mini Camera HD 1080P Action Sport Camcorder Outdoor 2" Screen Recorder DV White to your Shopping Cart. -- Comes with wear-resistant shell + super wide angle, easy to capture any picture. -- Special under water design with mini portable size, easy to carry anywhere. -- Recording format: 1080P 15 frames/720P 30 frames. -- Pixel range is 5M/3M/2M@JPEG, + Sensor GC1024, splashproof.